I hadn’t quite recovered from game three of the World Series. The game had lasted seven hours, 20 minutes and an incredible 18 innings. I had watched most of it and during the long stretch of no-run innings was able to verify via the Internet that we were besting a lot of records with this game, a game in which we lost 3-2 to the Los Angeles Dodgers who still trailed 2-1 in the series. This was Alex Cora’s first year as the manager for the Boston Red Sox. He took them all the way! 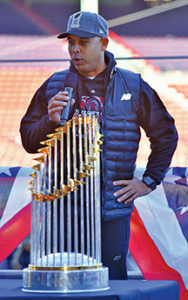 Here, during the World Series celebration at Fenway on 10/31/18, he talks about how the team scored 16 runs against their arch rivals, the New York Yankees. Photo by Glenn C. Silva. So when we won the next two games and hoisted the trophy the questions were swirling in my sleep-deprived brain. When would the parade be? 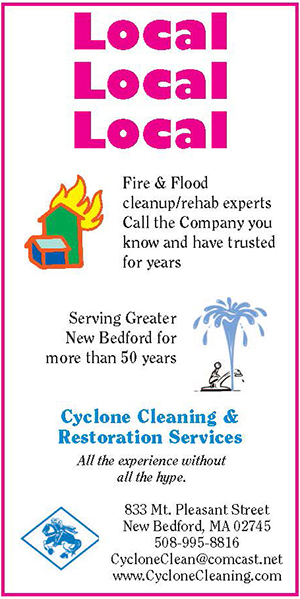 How quick could those duck boats be ready? Most impor­tantly, how could I be part of this wonderful celebration? Luckily my editor, as busy as she is, was on-board with my request, and on Wednesday I was on the 5:50 a.m. bus into Boston, armed with my gear, my press pass, and only 90 minutes of sleep from the night before. I was running on pure adrenalin. There were a lot of locals here too. Not quite the million that the news had predicted might show but it was in the hundreds of thousands. I checked into the media gate promptly at 9 a.m. and through the tunnel I went. Within minutes I was standing on the red clay we see on TV during the games. It’s harder than I expected. I had made it this far. Now what? There were reporters and news crews milling about and it was still cold but warming up. There were maybe 800 season ticket holders that were in attendance in the stands above the first base line and a small stage that had the trophies out on display. I got to go up on stage and take pictures of the trophies before everything started and of course took a selfie to say I was there. But it was still sort of quiet. 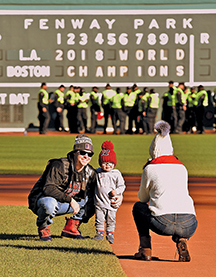 Brock Holt poses for a picture with son Griffin on the field at Fenway Park on 10/31/18 before getting on the duck boats for the rolling rally celebrating the Red Sox World Series win. Photo by Glenn C. Silva. That’s when I spotted a guy and his son playing out just past the short­stop area in left field. Was it? Could it be? It was Brock Holt and his son. How cool was that. Then everyone spotted him and it was game on and time to get to work. But Cora also joked that some might have been ready to have him fired when the team was down 4-0 in the 7th inning of Game 4 of the World Series, with the Dodgers close to evening the series at that point to two games apiece. But the Red Sox rallied and went on to win that game and won Game 5 and the title the next night. When the players were done with their stage appearances they were just milling about on the field casually giving interviews and getting ready for the parade. I got to thank the owner, John Henry for a great season and wish Brock Holt a good offseason. 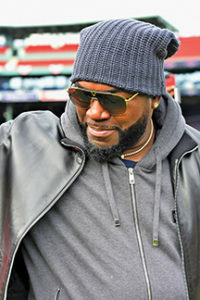 I got to fist-bump a few guys and even big Papi (David Ortiz) was there. Then it was 11 a.m. and time for the parade. So far I had seen a lot of people but not what I experienced when I exited Fenway and turned the corner onto Lansdowne Street. The fans must have been a half block deep from the parade and they were everywhere. They were on top of the gas station and just about every other building in sight. There were fans on the tops of city trucks and any type of structure that gave you even the slightest height advantage to view those duck boats and the players. 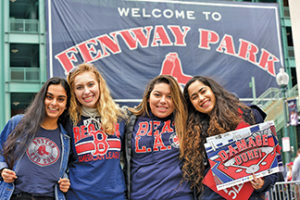 Boston University students from (L-R) Texas, Washington DC, Los Angeles, and the country of India attend the parade on 10/31/18. All are die-hard Sox Fans. Photo by Glenn C. Silva. If the sights weren’t enough, there was the deafening roar of the crowd and the booms of the confetti cannons. It was insanity, and so worth it! I had made it. It’s an experience I will never forget. Here’s a stat that won’t ever be mentioned in the books. I have been attending Red Sox games on and off for many, many years. I have seen them lose at home and on the road, during the day and at night. I’ve seen them lose in the spring, summer, and fall, and in the rain AND snow. I’ve seen them blow a five-run lead late into the 8th inning. This year I FINALLY saw the Red Sox win this past summer in person. I remember thinking during that game’s celebra­tion, wouldn’t it be great if they went all the way this year? Wishes do come true and I have the confetti to prove it! 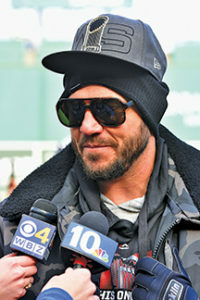 Steve Pearce, MVP of the 2018 World Series, stops to chat with reporters at Fenway before catching his duck boat during the celebration on 10/31/18. Photo by Glenn C. Silva. Even “Big Papi” David Ortiz was on hand to celebrate at Fenway on 10/31/18 before catching his duck boat during the celebration of the Red Sox World Series win. Photo by Glenn C. Silva. Glenn Gear! 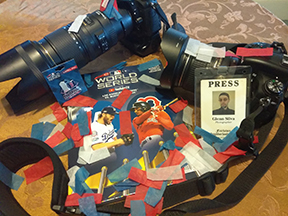 A collection of souvenirs and professional equipment Glenn used for his trip to celebrate the World Series win with the rest of Red Sox Nation on 10/31/18. Photo by Glenn C. Silva.